L.I. 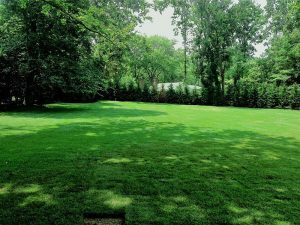 Elite Lawncare is a Long Island landscape design company that’s dedicated to making our customers’ homes look their best at an affordable price. We’re a neighborhood business serving western Suffolk County for weekly lawn maintenance customers. 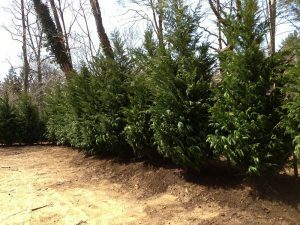 We’ve done both short-term landscaping jobs throughout Long Island. We can handle both residential and commercial lawn care jobs and we’ll do it in a professional manner at an affordable price. We’re located in East Islip in Suffolk County and have been providing landscaping services on Long Island since 2011. We’ve made professionalism and customer service the cornerstone of our business and our staff reflects that commitment to you. When L.I. Elite Lawncare is on the job, we will be dressed respectfully and our company’s logo will be visible on our employees’ clothing. All of our workers have undergone background checks and are legally eligible to work. All safety precautions are always taken on every job. We’ll let you know when we’re going to be working at your home and there will be no confusion about what we’ll be doing there. Many of our customers sign up for full property maintenance which includes grass cutting, hedge trimming, fertilization programs plus spring and fall cleanups. Clients often purchase mulch to beautify and control weeds in their gardens. We’ll provide other services for you like reseeding your lawn or performing a full landscaping renovation. We can also handle your annual or perennial planting. While we limit our weekly service to areas in Western Suffolk County, we’re happy to do short term jobs throughout Long Island. For example, we’ll do excavation and land clearing work and masonry projects like retaining walls and walkways involving paving stones. We can make your waterfront property look tropical with annual palm tree plantings or we can add a privacy barrier to your home with Leyland Cypress trees. If you’re planning a more traditional lawn after your excavation and land clearing, laying down sod is an excellent option. The advantage is that it’s natural grass and immediately upon sod installation you will have a lush green lawn in an instant. We’ll help take care of any repairs or installation of your irrigation system and make sure your grounds are getting the proper water at the proper time. We’ll be there from the beginning of spring through the end of fall. L.I. Elite Lawncare will also be with you during the winter months if you need us, as we provide residential and commercial snow removal service. We want to make your landscaping easy and affordable. At L.I. Elite Lawncare, we pride ourselves on our communication with our customers. We’ll spell out all of our services in your contract and we’ll be happy to answer your questions. We offers discounts to seniors over 65 and military members who are active or veterans. Contact L.I. Elite Lawncare today!